The December Family Night for preschoolers between the ages of 2-5 will be held at 6:30 p.m. on Monday, December 3 in the Draughon Room (lower level) of the library. Come join in for a celebration of Christmas! 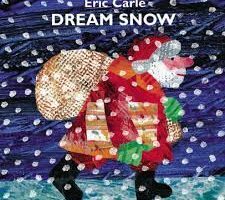 We will be reading Dream Snow and Santa Claus is Coming to Town, making Santa and Christmas tree crafts, flannel stories, singing and enjoying refreshments.